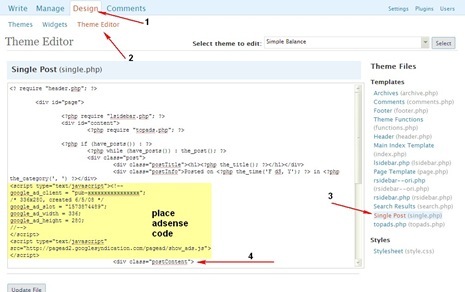 Data is important and un-important ie., the junk data or temporary data which applications create while we install and run them.These junk files are a reason why one finds their system tend to get slow overtime and the system taking more time to startup. 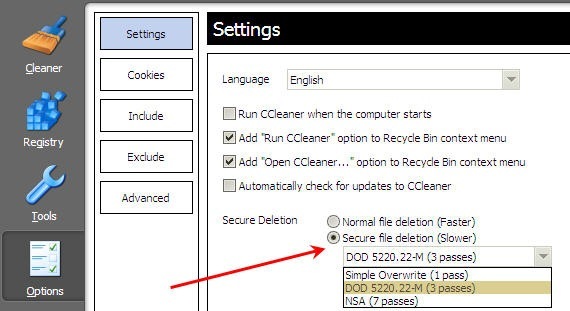 CCleaner is one such application which can get rid temporary and junk data in systems.The junk files such as browser files would store the traces of your footsteps on the internet with information line what websites you opened etc.,So you might want to get rid of such data on public systems using secure methods for deletion. 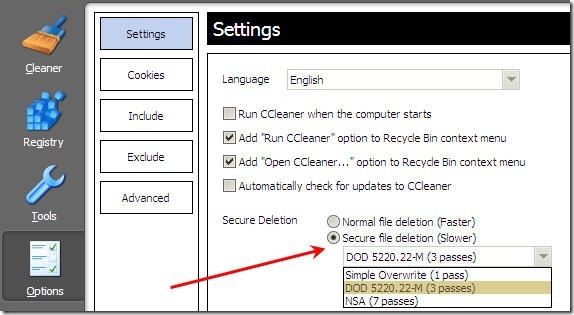 CCleaner has 3 Secure types of file deletion methods other than the regular Fast Deleting. Passes means the number of times your data is overwritten with random alpha numeric values so that the recovery process gets even tougher. Note : Remember that the Secure File Deletion can get the deletion process slow as the number of passes increases.